Fundraiser by Domina Stamas : Sac High to Mission Control! NASA BOUND! Sac High to Mission Control! NASA BOUND! 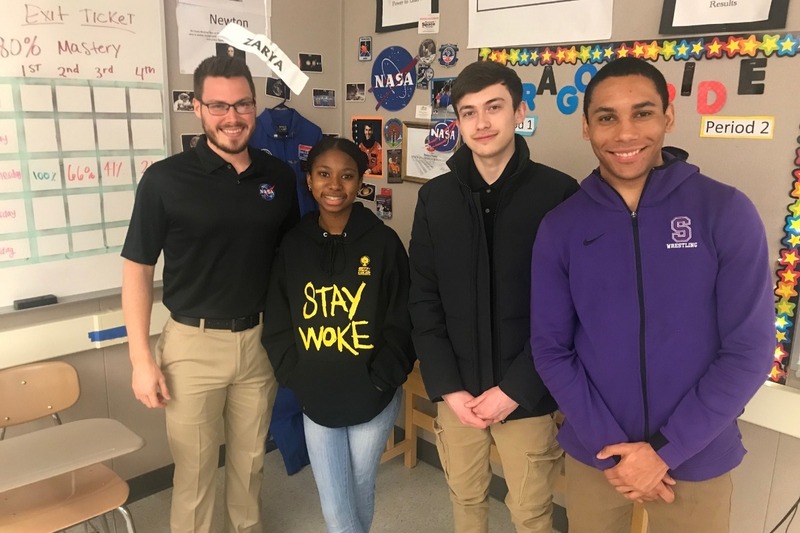 Sac High is proud to represent Sacramento in NASA's HUNCH Culinary Challenge at Johnson Space Center in Houston, TX on April 15, 2019. We are the first and only California school to participate in this culinary Challenge. Schools across the nation compete to create a dish suitable for microgravity living. In order to maintain the health of astronauts on the International Space Station, our team had to research and create a dish based on the dietary restrictions and "theme" provided by NASA. 34 schools started out at the beginning of the school year and NASA narrowed down their top 10 and Sac High prevailed with our "Pumpkin Pear Ginger Puree" recipe. If the Sac High Space Dragons win, our dish will be prepared, packaged, and launched into space for the current astronauts to eat. Our names, Sac High, and Sacramento will become part of the space family. Because we are the only California school participating, we decided to represent Sacramento's Farm-to- Fork lifestyle in space by using ingredients from local growers and from our own school garden! This is a once in a lifetime opportunity for the students on our team and we are in need of financial support for hotels, flights, transportation, and other materials used in the competition. Any contribution would be helpful!